We all are aware how fashionable Deepika Padukone’s outfits are but what many are not aware of is that every outfit we see on Deepika is styled by someone else and that is Shaleena Nathani. She is the celebrity stylist of many celebrities but mainly she styles Deepika Padukone and Shah Rukh Khan. Being a celebrity stylist is not an easy job but along with the hurdles come perks too. From past 2 years, Shaleena has been receiving a lot of recognition for her work and gained a lot of fame in the process as well. Shaleena recently featured in the Nike running shoes campaign and her motivational video was enough fuel to light up your fire. Since, she is huge in social media where her works speak a lot and she has become an influencer, Shaleena Nathani has recently featured in another jewelry brand’s ad. 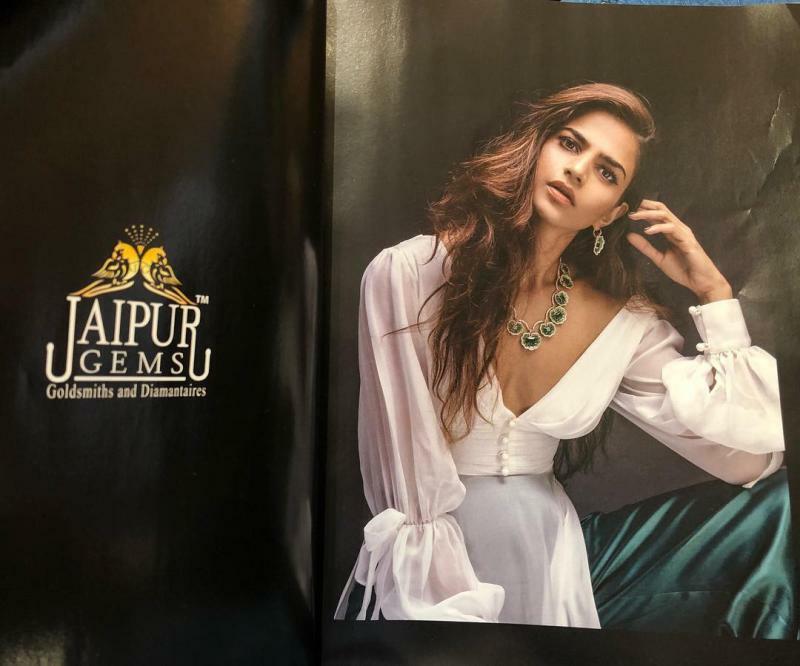 Deepika Padukone‘s stylist is now seen modelling for Jaipur Gems jewelry and we can’t help but notice how she is looking just like Deepika herself. It now clearly shows, how she styles the actress is actually her own style which means they might be a lot same in their personality. This photoshoot is the proof that their personality, body and personality is extremely similar. The stylist is looking staggeringly beautiful dressed in this white lehenga with an off-shoulder top. Her chiseled body is perfectly synchronized with the jewelry color where she accessorized with a choker and earrings by Jaipur Gems.